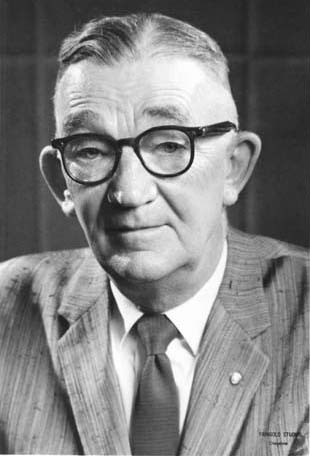 Wyoming’s Engineer-Governor was born May 26, 1882 in Saginaw, MI. He earned a degree in civil engineering from the University of Michigan. 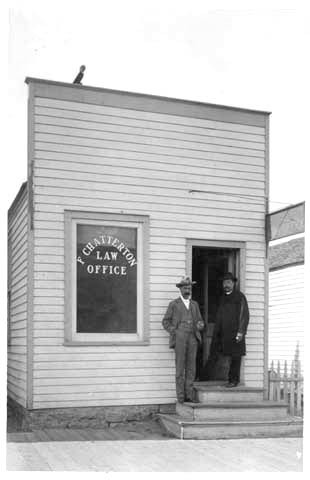 Emerson came to Wyoming in 1904, settling at Cora in Sublette County where he ran a store for a short time. The following year he accepted a job at the State Engineer’s office in Cheyenne, but worked there only a few months before accepting a position with the LaPrele Ditch and Reservoir Company of Douglas. 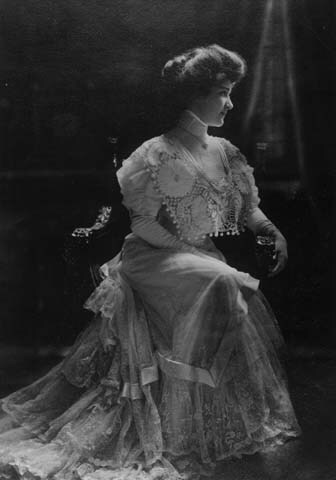 He married Michigan native Zennia Jean Reynders in 1910. 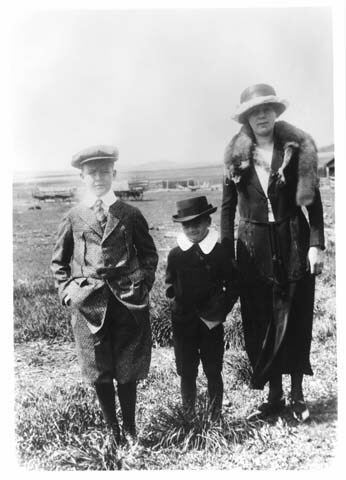 At that time he was employed as Chief Engineer by the Wyoming Land and Irrigation Company which was building the Shell Canal near Greybull. 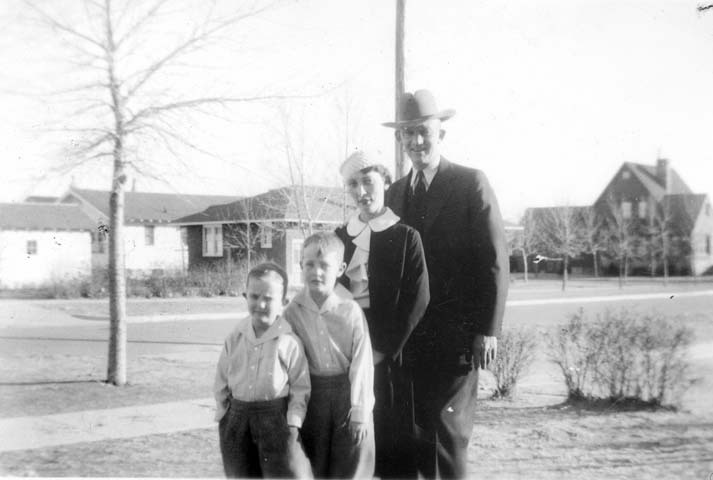 The family moved to Worland in 1914 after Emerson was hired as the superintendent of the Big Horn Canal Association. 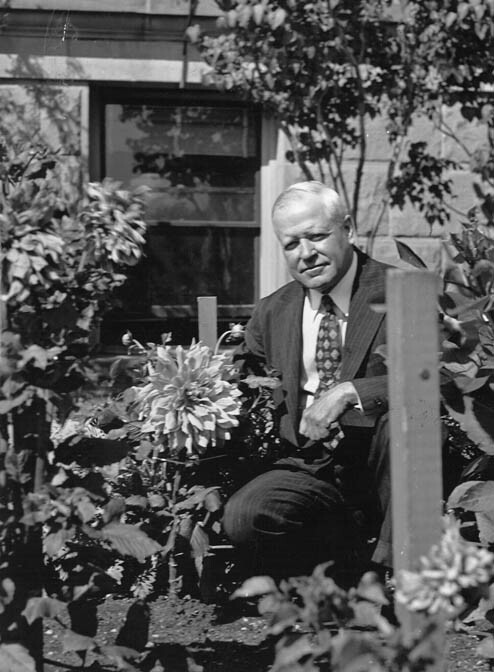 He served on the City Council there for one term. 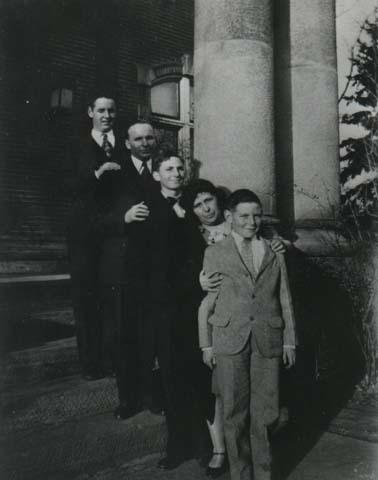 Governor Emerson, his wife Zena, and their three sons on the steps of the Historic Governor’s Mansion. 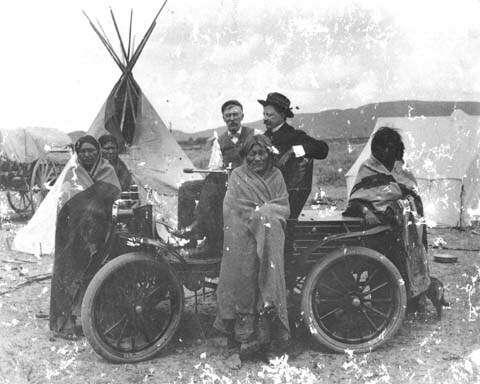 According to an account by his wife, Emerson ran for a state senate seat to aid his efforts to deal with the problem of alkali seepage in the Big Horn Basin. He lost the election, but found another avenue for addressing his concerns. 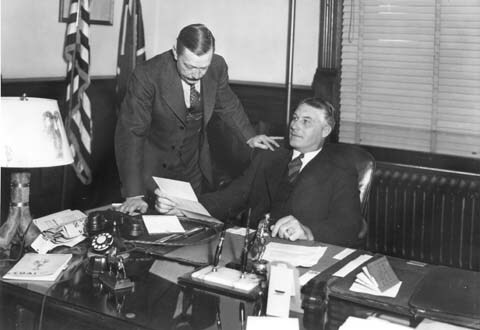 Newly elected Governor Robert Carey appointed Emerson as State Engineer and the family moved to Cheyenne in 1919. 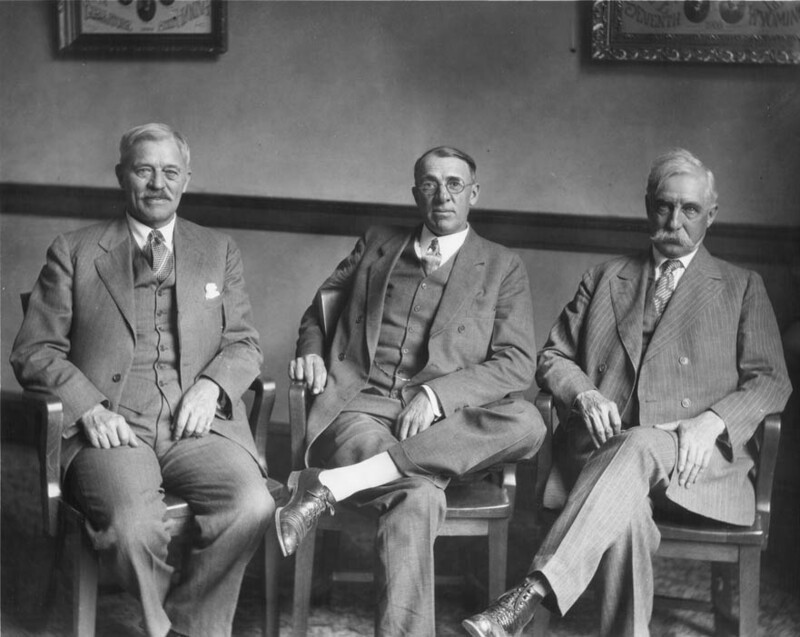 Emerson used the position to promote legislation supporting reclamation projects. 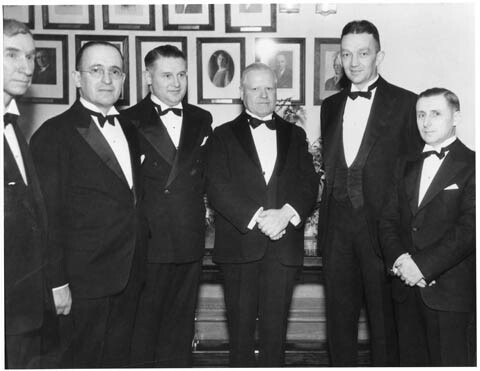 Emerson at his first inauguration as governor in 1927. 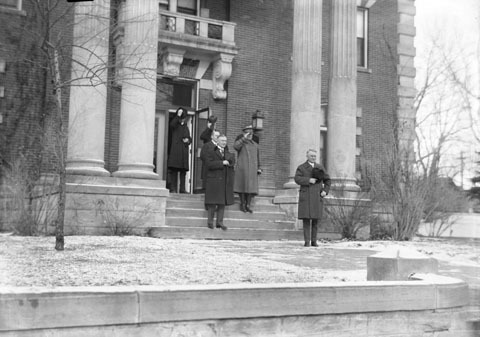 Out-going governor Nellie Tayloe Ross stands just behind him and Judge Fred H. Blume stands beside him. 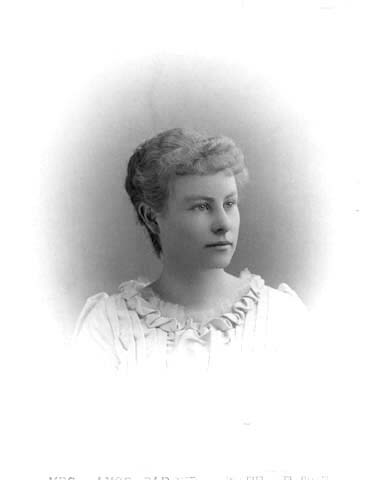 While serving as State Engineer, Emerson was also employed as superintendent of the Lower Hanover Canal Association, and as an engineer for the Worland Drainage District and Wyoming Sugar Company. 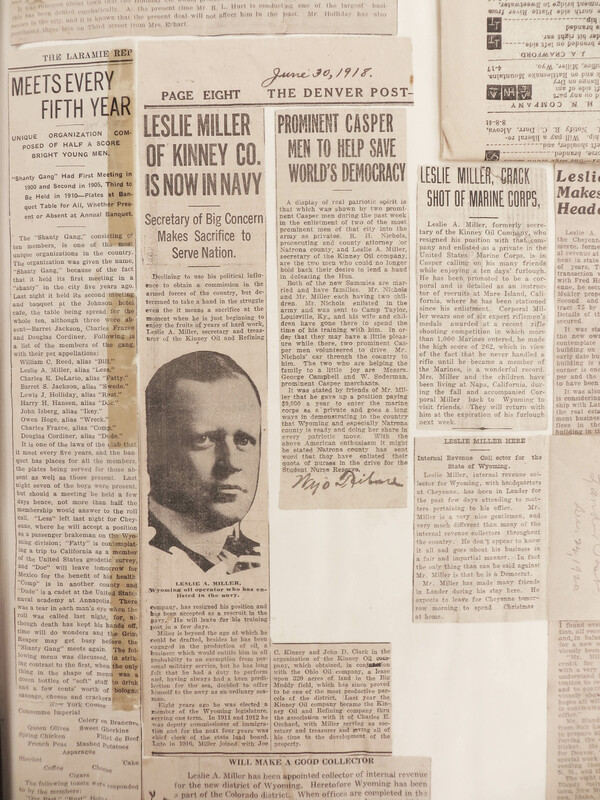 He occupied the Engineer’s office from July 1, 1919 to January 3, 1927. 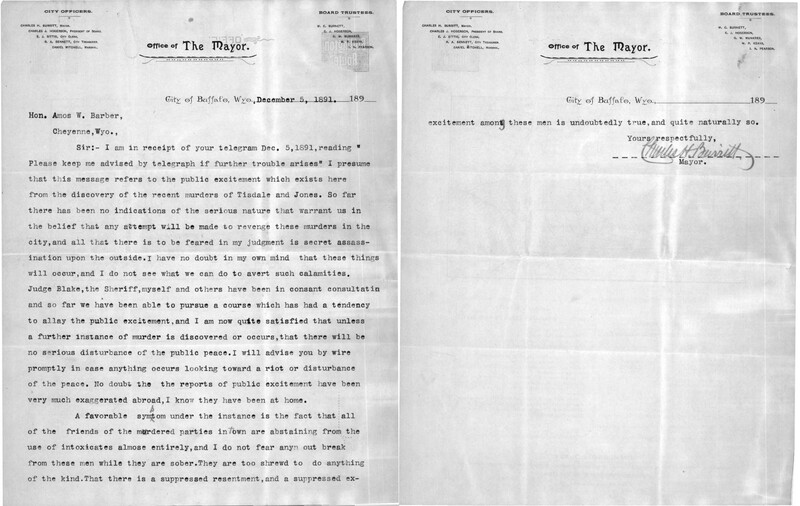 In 1923, Democratic Governor William Ross attempted to remove Emerson, a Republican, from the office of State Engineer. 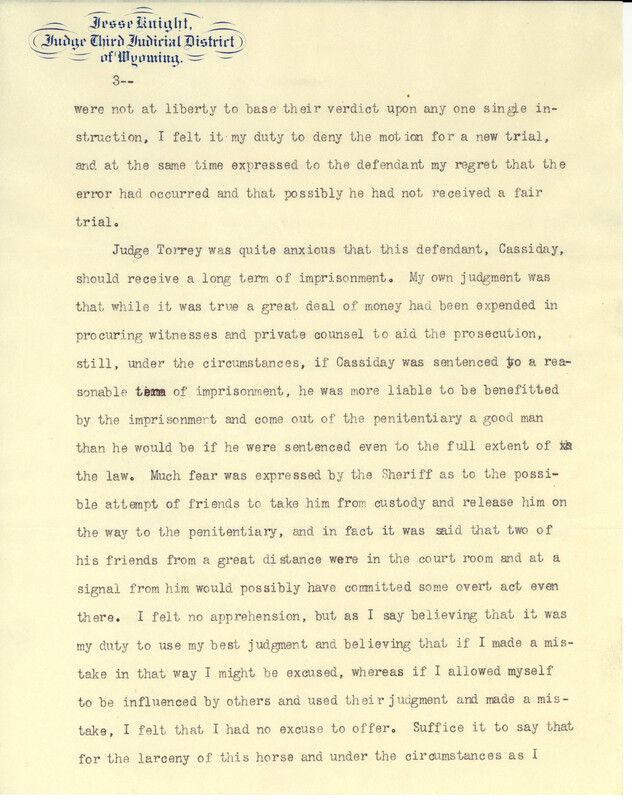 However, Emerson won a court battle to retain the position. 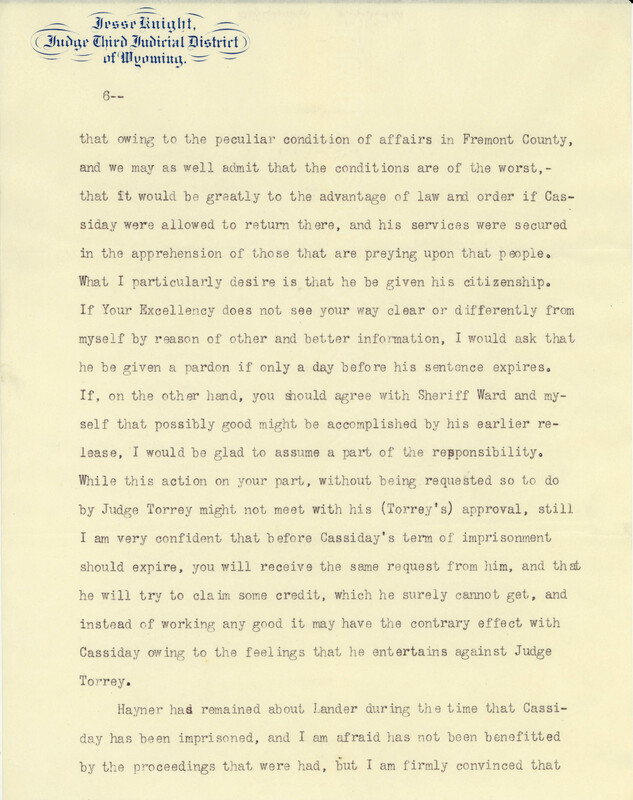 Emerson had a leading role in drafting the Colorado River Compact involving the water interests of seven states. He was credited with guarding Wyoming’s rights in the Green and Little Snake Rivers, Colorado River tributaries. He served as a special advisor to the Secretary of the Interior regarding Colorado River issues. 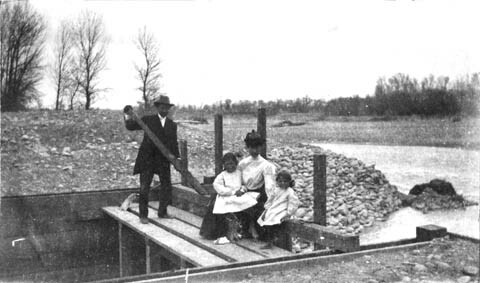 Emerson also helped maintain Wyoming rights to North Platte River waters in disputes with Nebraska and Colorado. 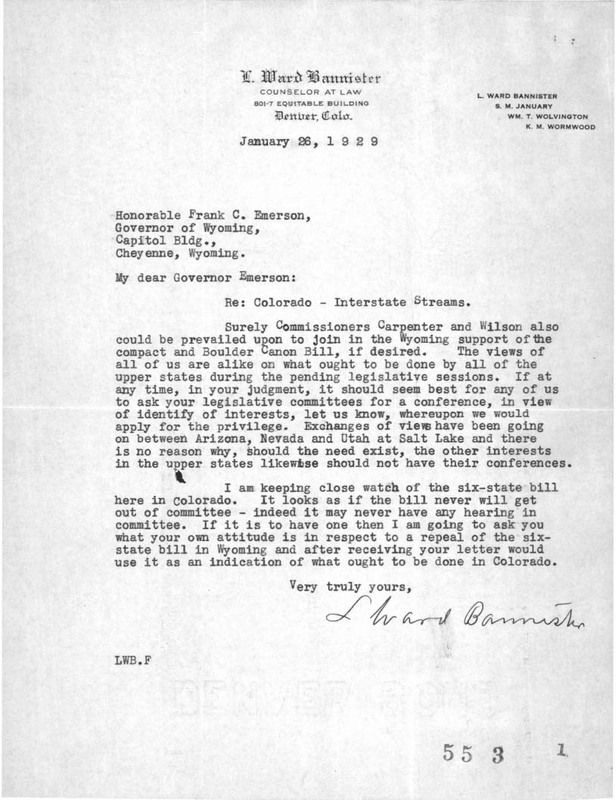 Governor Emerson’s engineering background gave him unique insights during the negotiations on behalf of Wyoming for the Colorado River Compact. 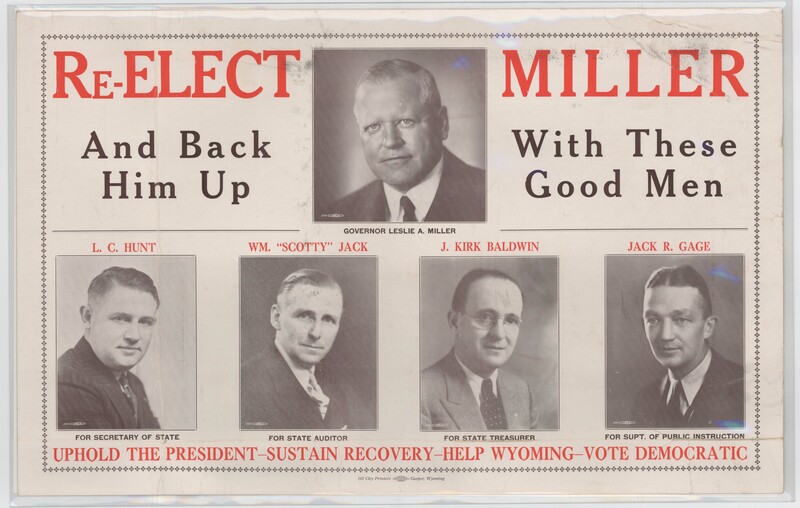 Emerson was nominated for Governor by his party for the 1926 election, offered as a candidate who could bring development to the state. He was also recognized as a sound businessman. 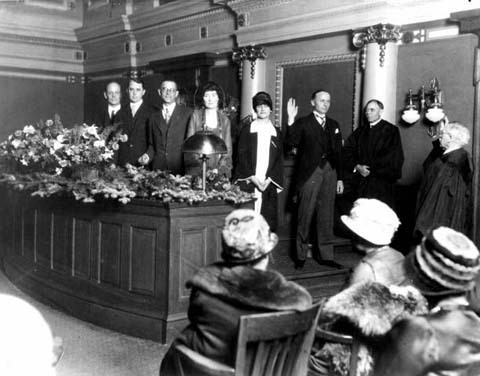 He defeated Nellie Tayloe Ross, who had won election in 1924, filling the position previously occupied by her husband, who died in October that year. 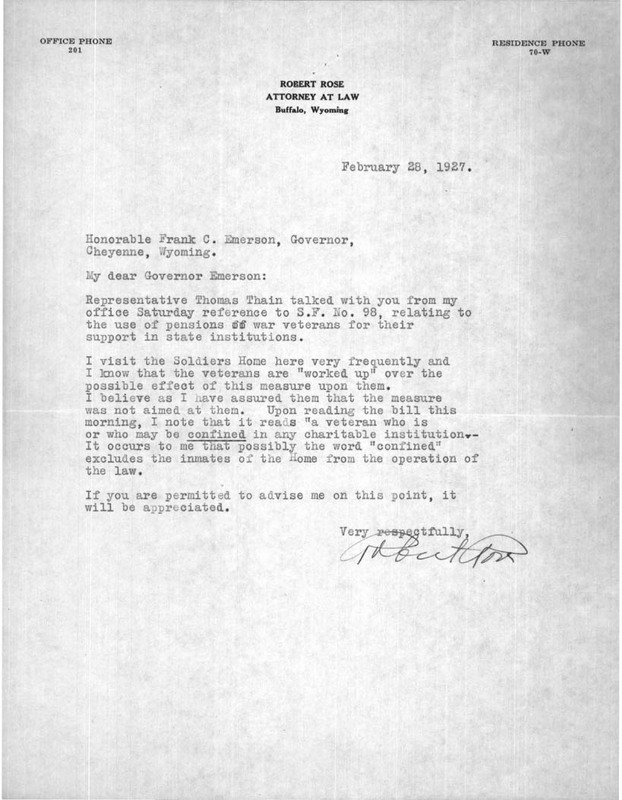 Governor Emerson generally worked well with the Republican legislature, emphasizing the need for efficiency, but was unable to advance proposals for the assessment of intangible property and a state income tax to generate revenue to meet needs in the state, such as an improved highway system and the burgeoning financial burden of caring for residents of the state’s institutions. 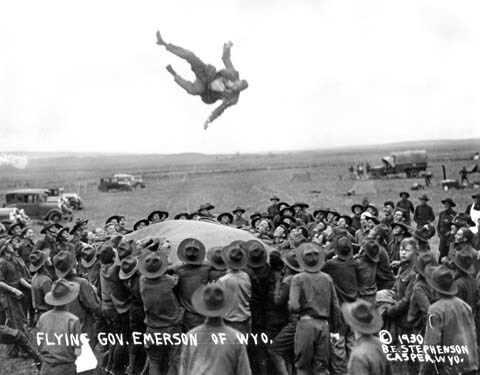 “Flying Governor Emerson of Wyoming.” In 1930, Emerson visited with the Wyoming National Guard and participated in their parachute toss initiation. Emerson was elected for a second term in 1930, but died of pneumonia on February 18, 1931, a few weeks after taking office. A weakened constitution from overwork was given as a contributing factor. 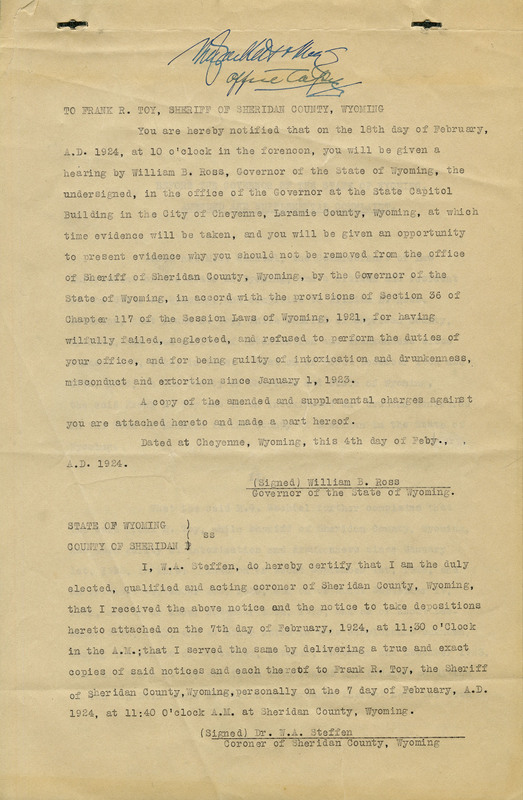 The records of Governor Emerson maintained by the Wyoming State Archives provide information on Wyoming government programs and on significant issues affecting the state prior to the Great Depression as well as during the early years of that crisis. Happy Birthday Governor B.B. Brooks! 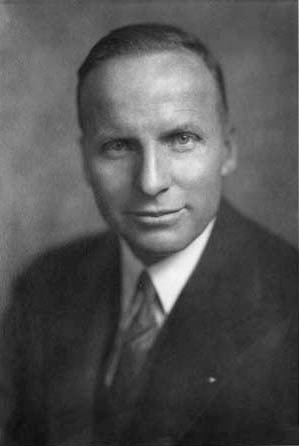 Governor B.B. Brooks. He was not camera shy and he can be seen in many photographs dating from his term in office until his death. 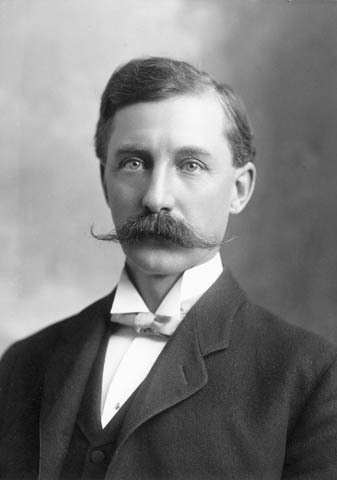 Bryant B. Brooks, Wyoming’s seventh state governor, was born on February 5, 1861 in the small town of Bernardston, MA. After the Chicago fire of 1871, the Brooks family moved to the Windy City where his father, a lock manufacturer, took advantage of the demand during the city’s rebuilding efforts. Brooks attended a business college there. Not long after graduating, he headed west and spent some time on his father’s cousin’s farm in Nebraska. 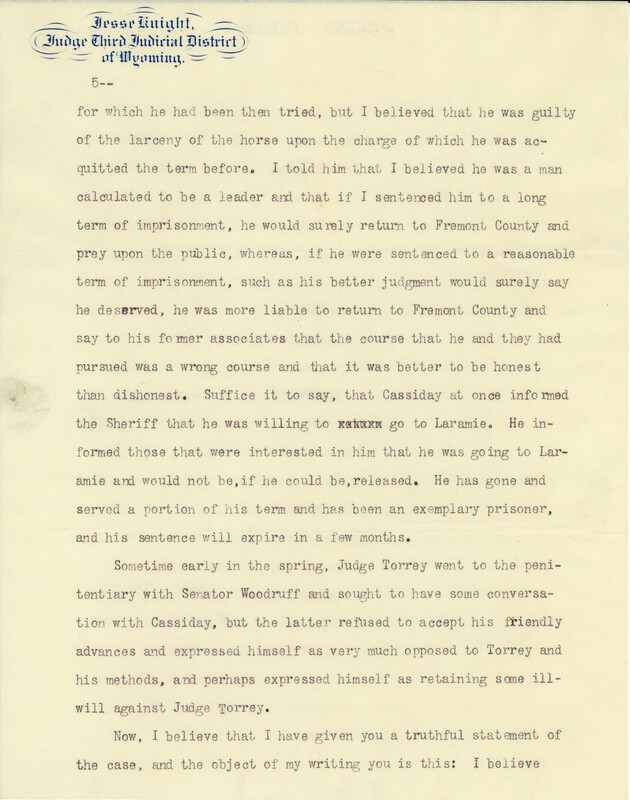 In the spring of 1880 he took a train to Cheyenne, where he signed up with an outfit hired to roundup cattle that had wintered in the Snake River region of Idaho. 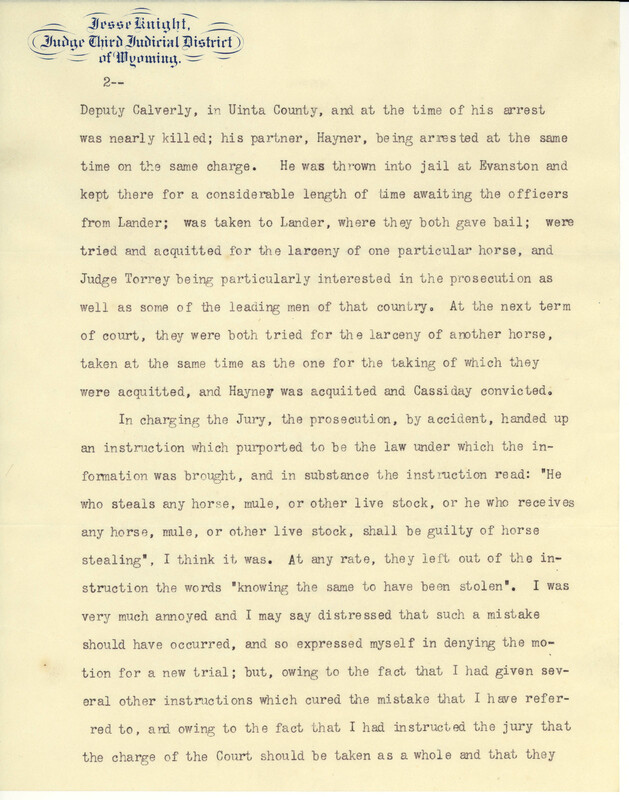 After the roundup, he returned to Chicago for a brief stay to study assaying, then resumed cowboy life in Wyoming, trapping to supplement his income. 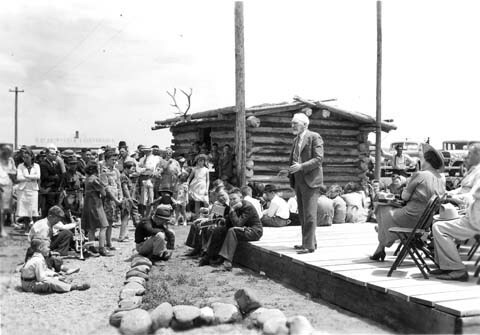 In his memoirs, Brooks stated that he settled in the location that would eventually become his ranch site, about 20 miles southeast of present day Casper, after acquiring a trapper’s cabin for six beaver traps and a sack of flour. 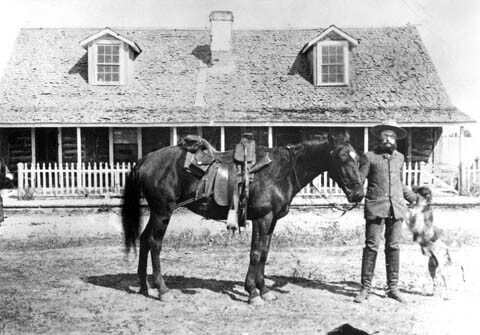 A ranch house was constructed in 1883. He partnered with his father and brother under the business name B.B. Brooks & Co. The company started with 80 heifers shipped from Wisconsin. 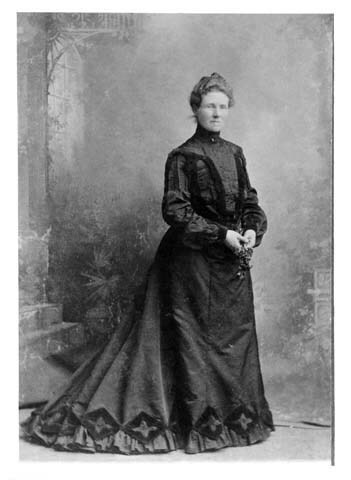 Brooks married Mary Naomi Willard, daughter of his father’s cousin, in 1886 and the couple settled in at the ranch, which would eventually encompass 7,000 acres. 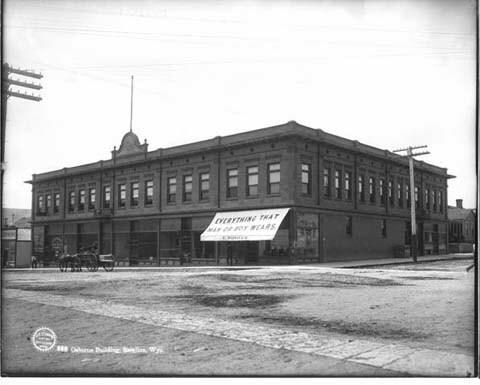 Brooks’ livestock interests developed and expanded to include other companies and, in 1892, wool growing. He was active in a number of civic and fraternal organizations. 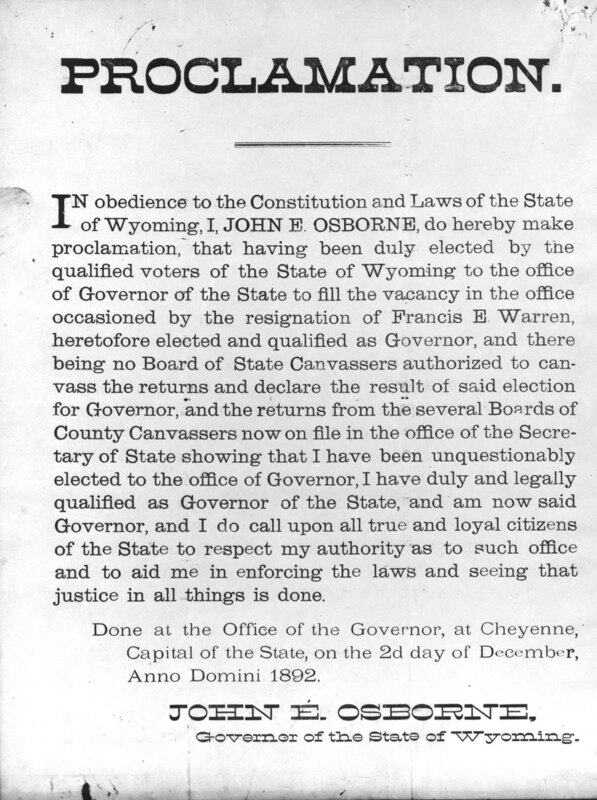 He was appointed to a three member commission to organize Natrona County, and served as County Commissioner from 1891to 1892. 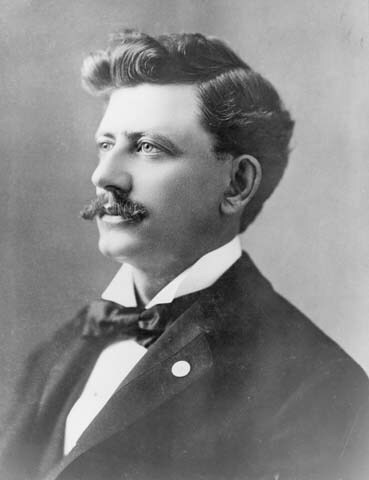 Brooks was elected to the 2nd state legislature and served as a delegate to the Republican National Convention three times (1896, 1904, and 1908). 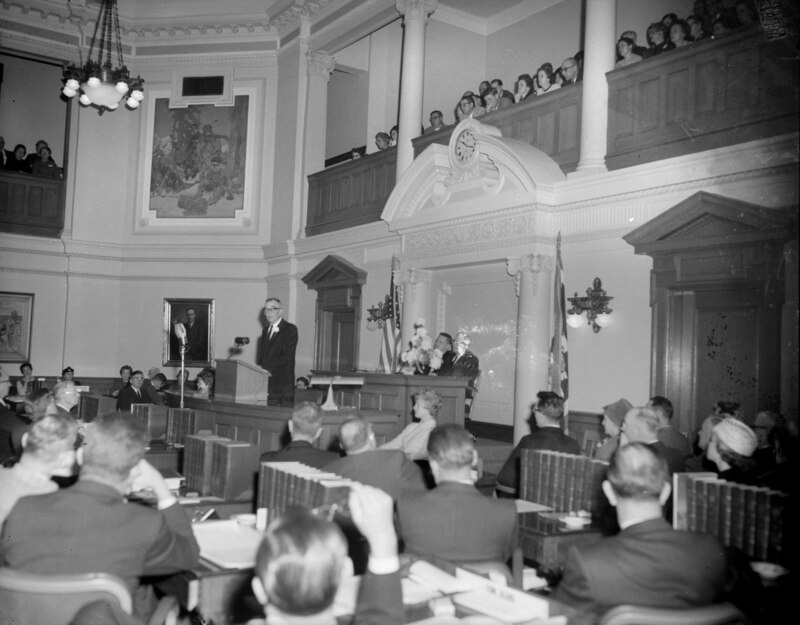 His political career culminated with his election as Governor to fill the unexpired term of DeForest Richards, who died a few months into his 2nd term. 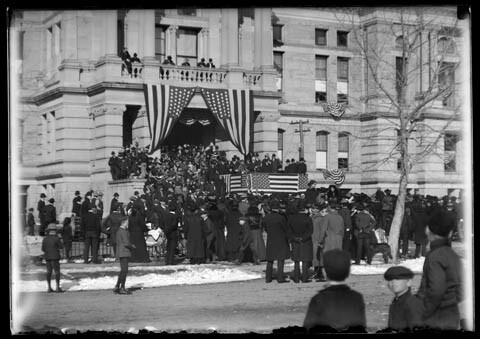 Governor Brooks’ inauguration on the steps of the Capitol Building, January 5, 1907. 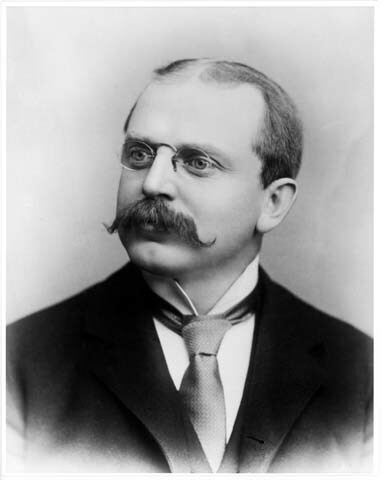 Brooks was re-elected in 1906. 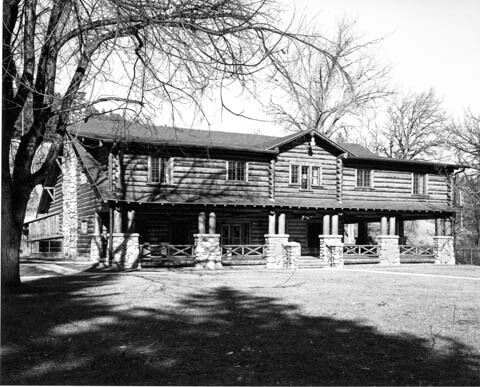 His family had the distinction of being the first to occupy the Governor’s Mansion in Cheyenne. 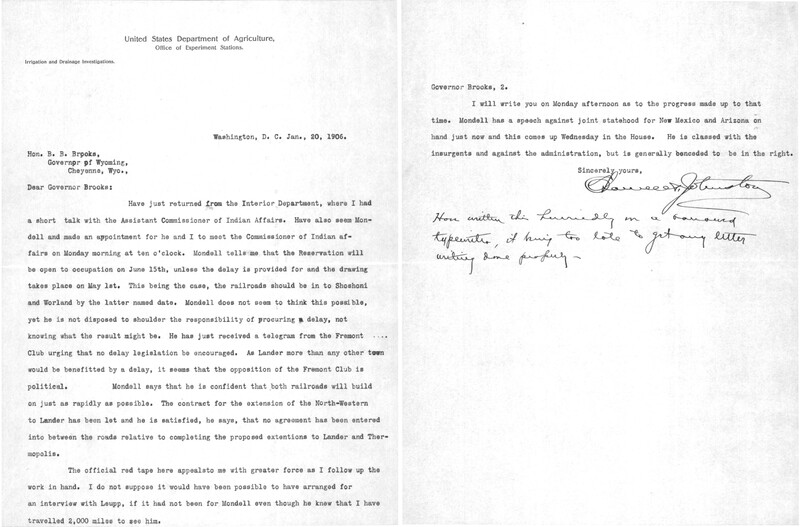 Correspondence between Governor Brooks and the US Department of Agriculture referring to the opening of the Wind River Reservation for white settlement. Under the Brooks administration a mineral leasing act was passed, which provided for access to the state’s mineral resources and generated revenue for the state. 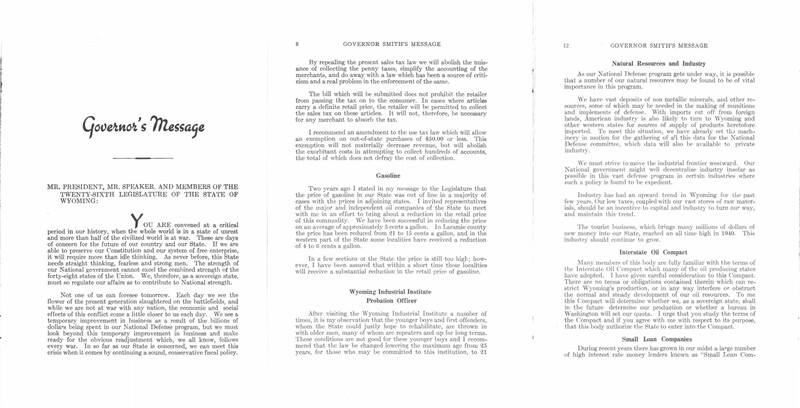 The leasing of federal lands for grazing was a hotly debated issue during Brooks’ tenure as Governor, in Wyoming and in the nation’s capital. 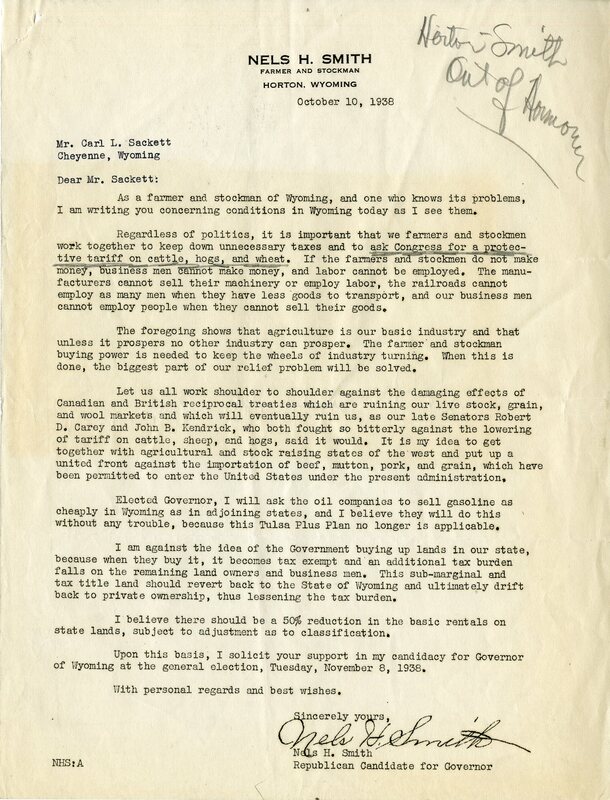 In 1907 he opposed resolutions by the Wyoming Stock Growers Association in favor of leasing. 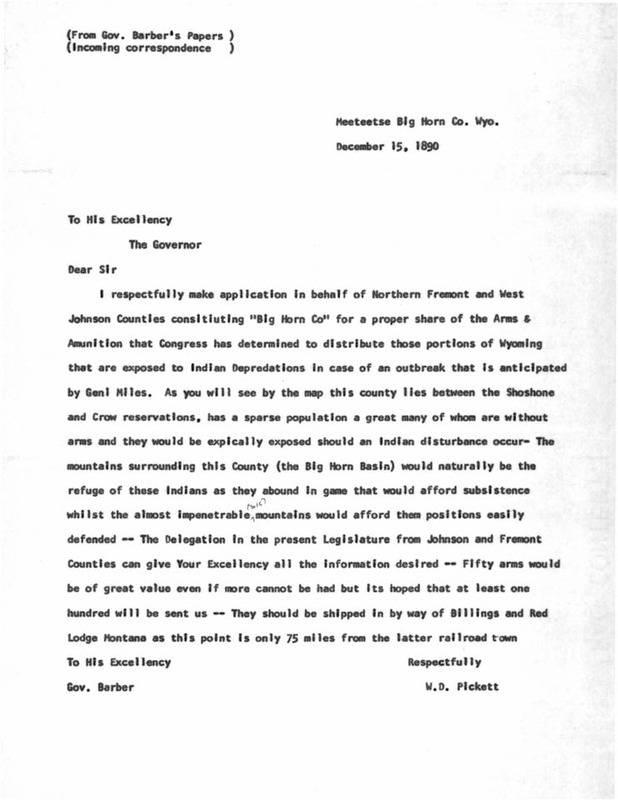 His message to the 1909 state legislature supported the Homestead Act. He spoke against leasing for grazing, believing it would negatively affect homesteading efforts. The debate lasted well beyond Brooks’ gubernatorial years. 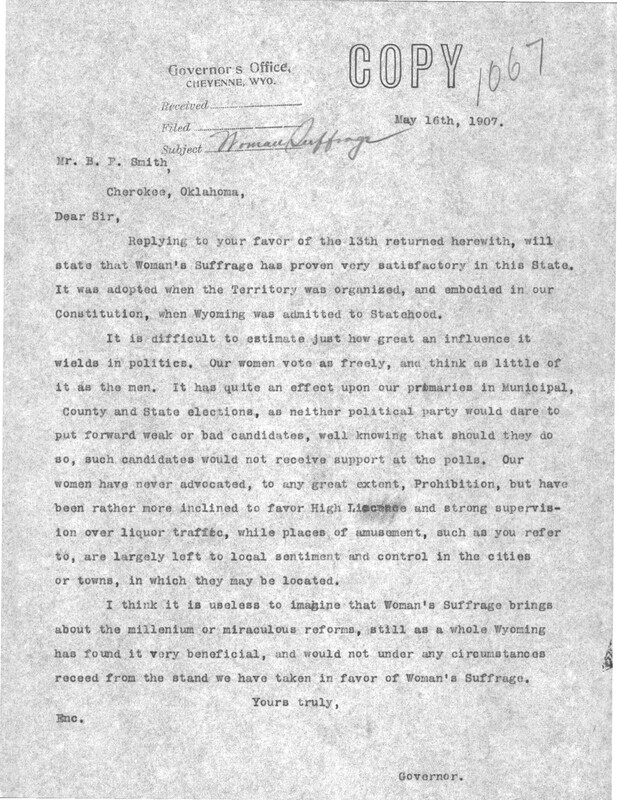 Governor Brooks received many requests for his stance on women’s suffrage during his term. 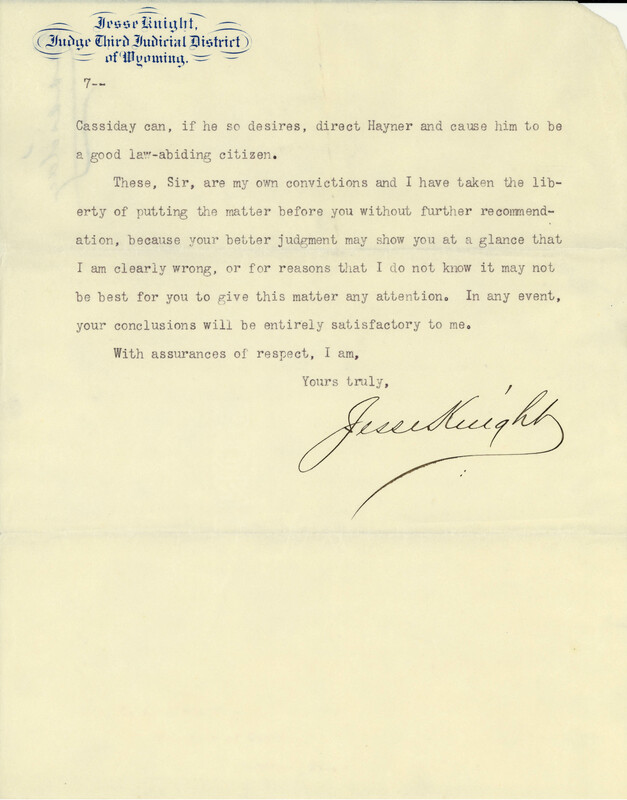 This is an example of his response in support of suffrage in the state. 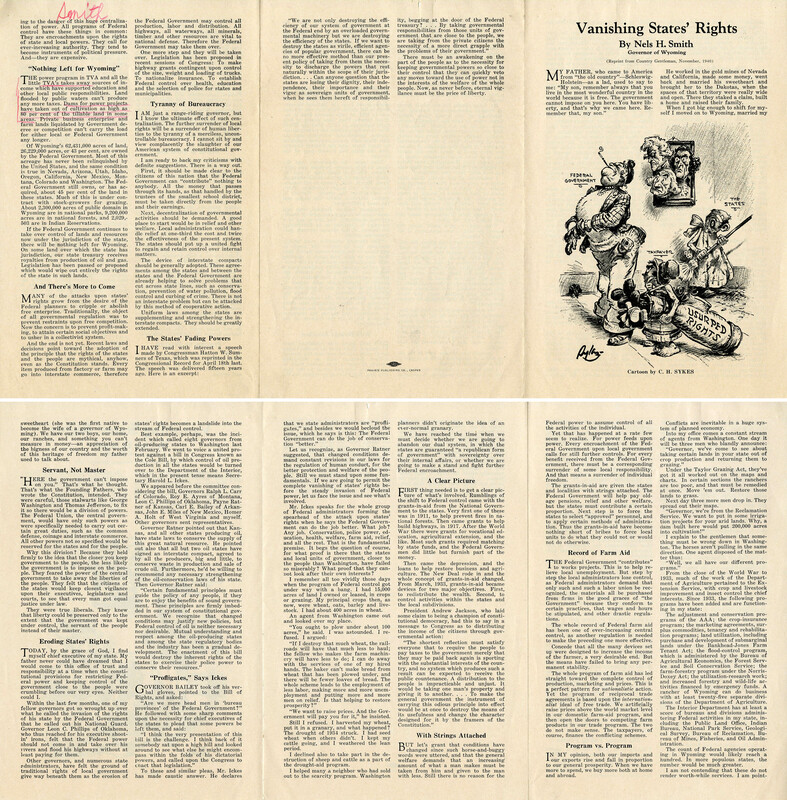 In some, he goes so far as to call for women’s suffrage to be adopted on a national scale. Brooks continued to expand his business interests after leaving the state’s executive office. 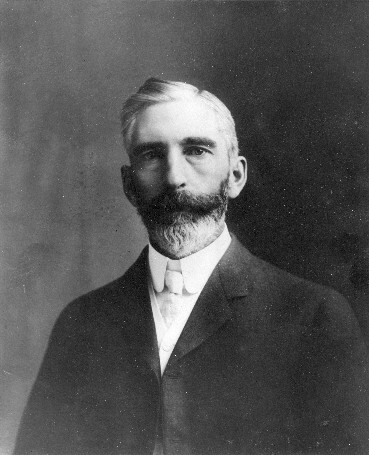 He was president of the Wyoming National Bank in Casper. 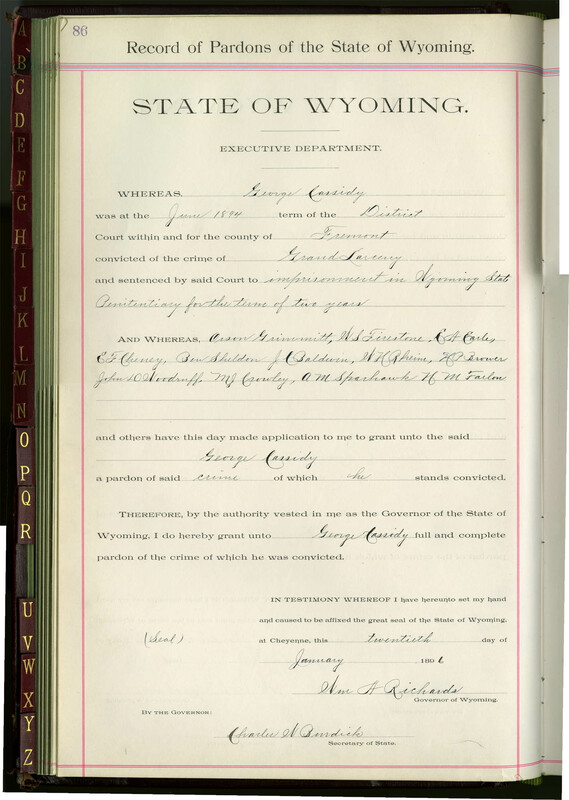 He became president of the Consolidated Royal Oil Company of Casper and of the Grass Creek Oil and Gas Company. He also had interests in other oil companies and served as President of the Rocky Mountain Oil and Gas Association for many years. 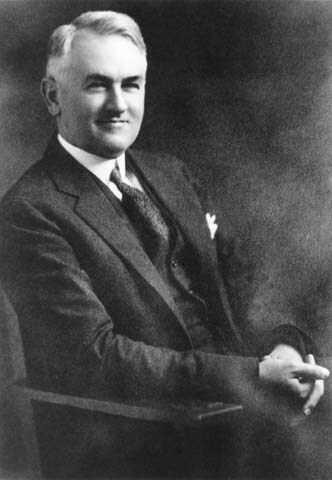 In this role, he opposed federal plans to suspend the issuance of permits for oil exploration on the public domain in 1929, and in the 1930s supported an oil pipeline between Fort Laramie and Salt Lake City. 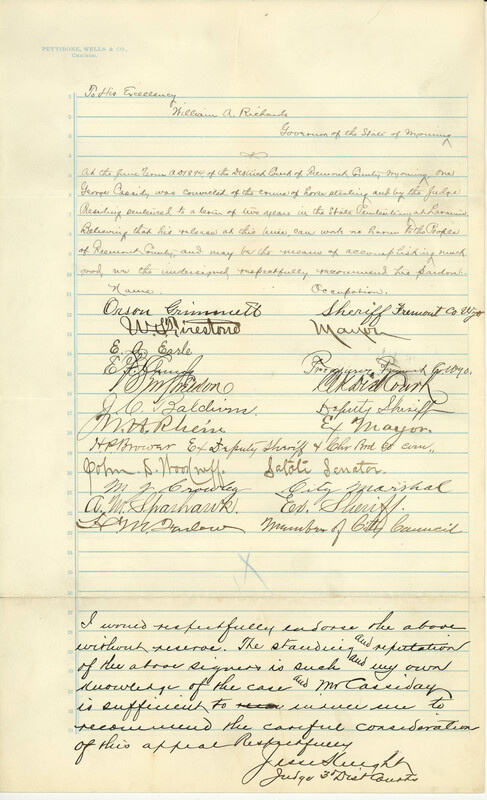 The line was eventually built despite protests from Wyoming labor organizations, which feared the line would negatively impact railroad employees and laborers in related fields. 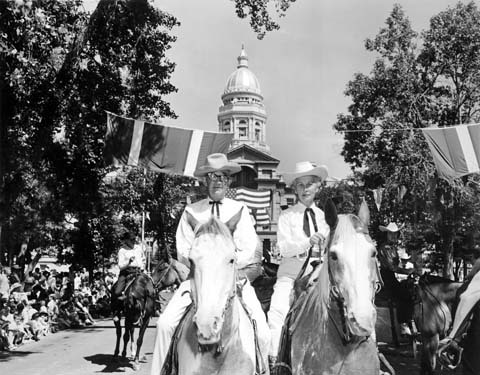 Governor Brooks and Ezra Meeker in front of the Wyoming State Capitol Building. 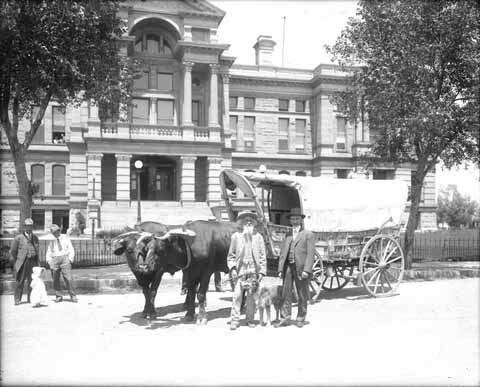 Meeker traveled across the country by oxen and wagon recreating his earlier experiences on the Oregon Trail. 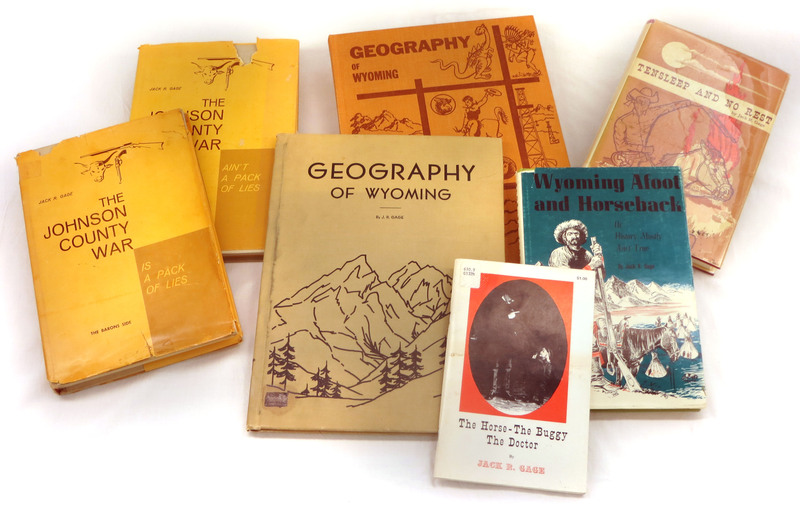 Brooks also worked to preserve Wyoming’s historical record as chairman of the Wyoming Historical Landmarks Commission. 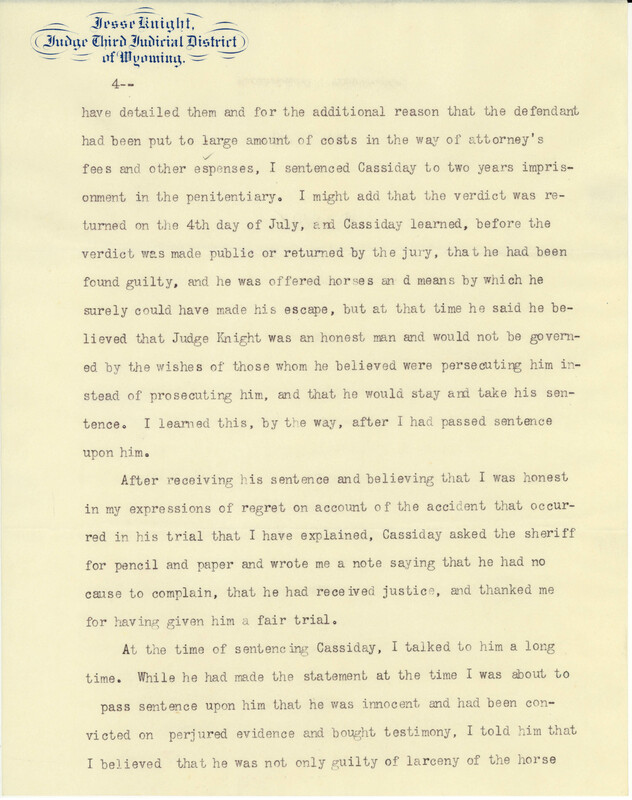 He had special interest in preserving information about the Oregon Trail and marking its location. 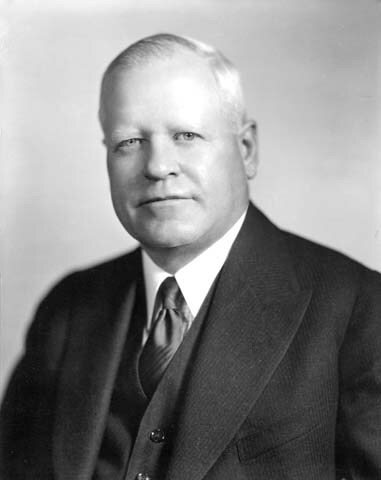 Governor Brooks died on December 8, 1944 at his home in Casper. 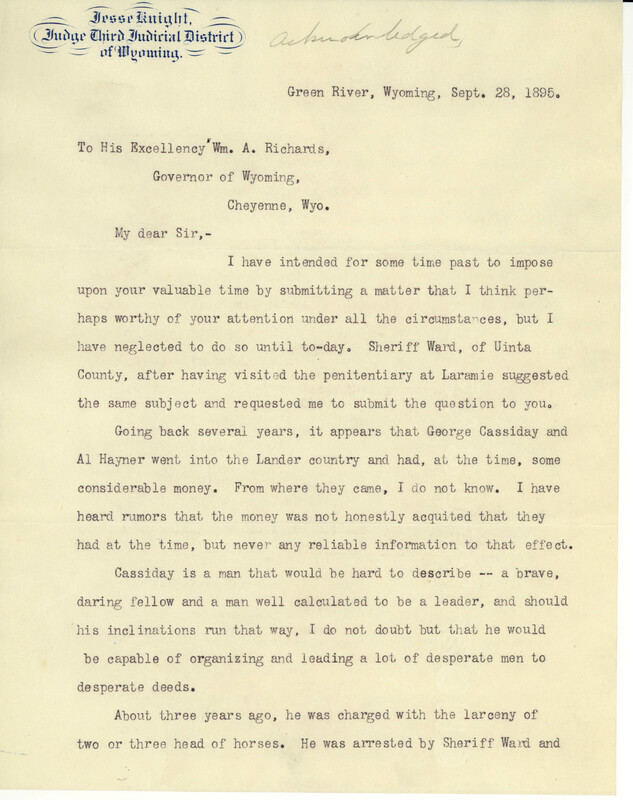 In addition to routine records associated with the Governor’s Office, the records of Governor Brooks at the Wyoming State Archives include correspondence related to the opening of the Wind River Reservation to settlement and efforts to irrigate the area, the Hanna mine explosions of 1908, raids on sheep camps, a visit by President Theodore Roosevelt, and woman suffrage. 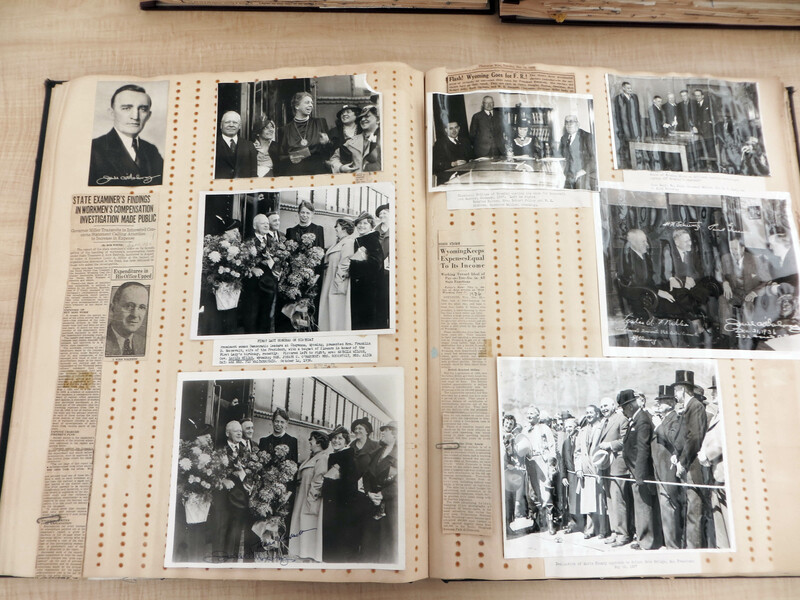 Governor Brooks’ published memoirs are also maintained by the Archives. 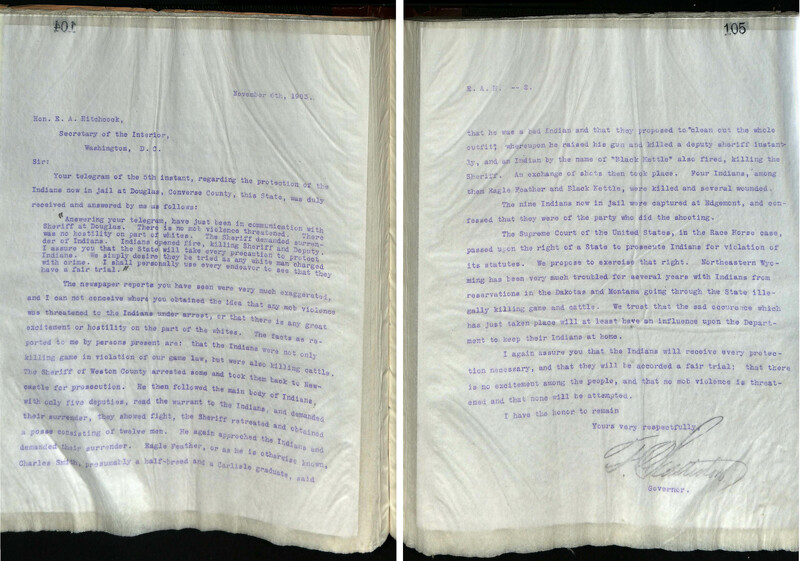 An inventory of his gubernatorial papers can be found in the Rocky Mountain Online Archives (RMOA). 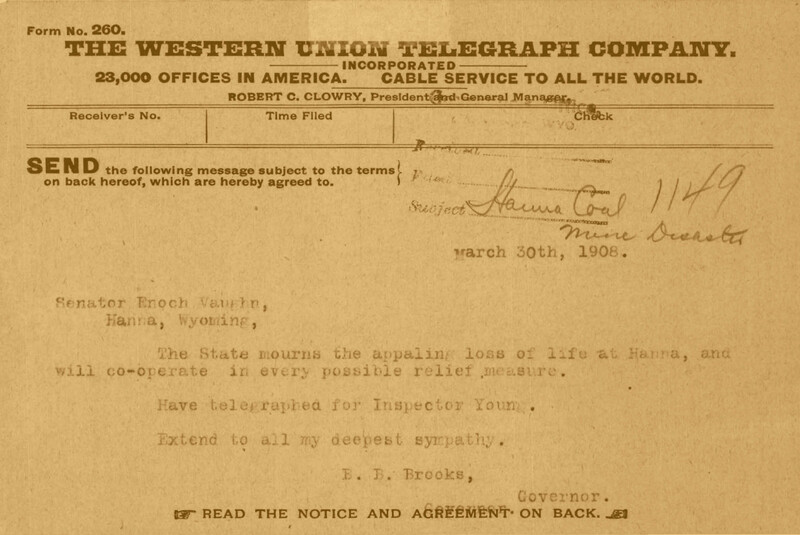 Telegram from Governor Brooks to Senator Enoch Vaughn expressing sympathy for the lives lost during the mine explosion at Hanna. 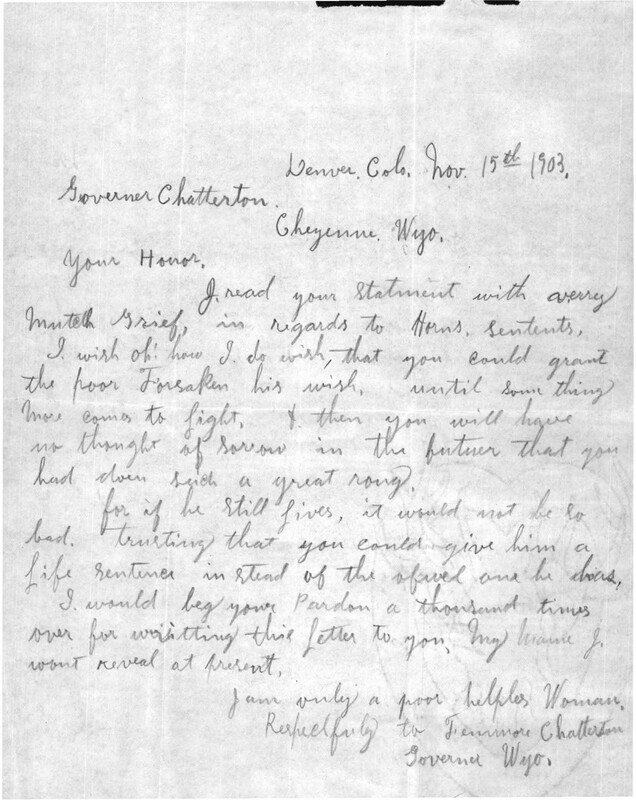 He would later write more formally.